207 5025 Joyce Street, Vancouver - SOLD | Jenny Wun - Oakwyn Realty Ltd.
All sizes and ages are approx. only. The Buyer should not rely upon the listing information without the Buyer independently verifying. Immaculate, huge approx. 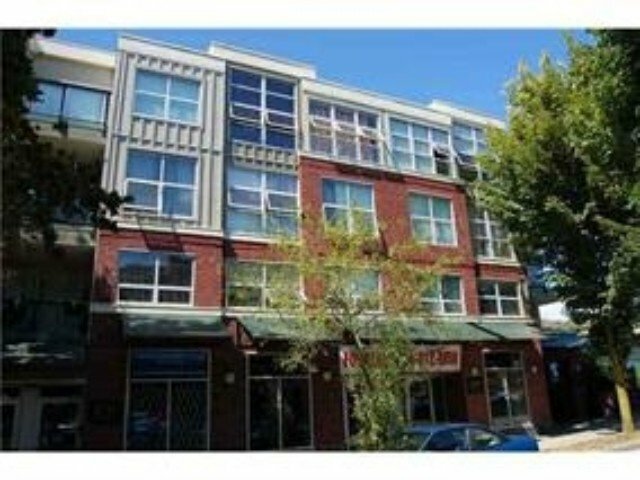 715 sq ft unit in prime location 1 block from Joyce-Collingwood Skytrain Station. Enter through the large foyer and appreciate the spacious, open concept 1 bdrm floor plan with a den and solarium. High quality finishing includes granite countertops, kitchen island, stainless steel appliances, fireplace, laminate H/W floors, insuite laundry and ample storage. Underground parking stall plus bike storage. With pets and rentals allowed, along with low maintenance fees, don't miss this attractive investment opportunity.